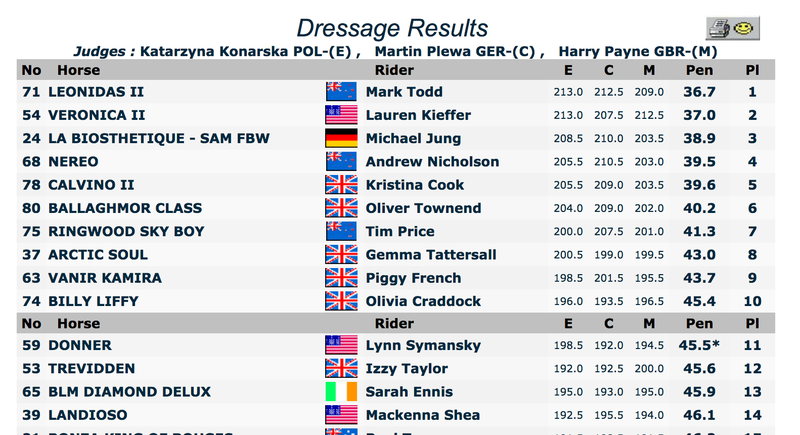 Stunning rides by Sir Mark Todd on Leonidas II and Lauren Kieffer on Veronica II have knocked Michael Jung from the lead after the second day of dressage at Burghley. Sir Mark Todd has taken over the lead at Burghley. Todd has won five previous Burghley events over his career. Although Todd retired from three day eventing after the Olympics in 2000, he returned to the sport eight years later.